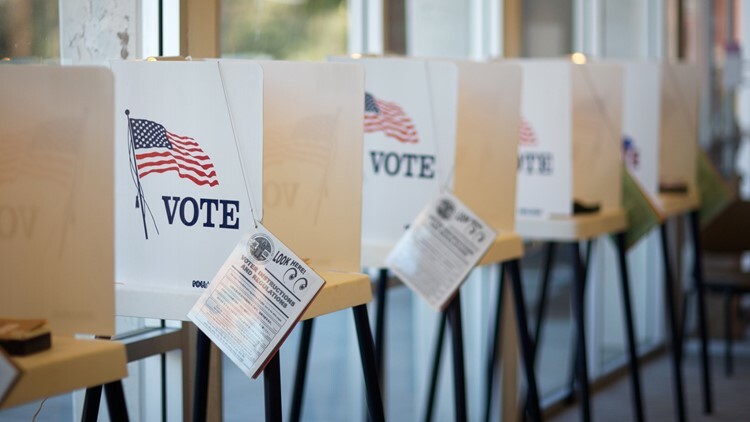 The National Popular Vote interstate compact still has a big hurdle to get over to take effect before the next presidential election. Twelve states and the District of Columbia have now signed onto a pact to award their electoral college votes to the winner of the national popular vote in a presidential election. But this agreement won't go into play until they get more states to sign on, and that may be difficult. Colorado, on Friday, became the most recent addition to the National Popular Vote interstate compact. The others are California, Connecticut, District of Columbia, Hawaii, Illinois, Maryland, Massachusetts, New Jersey, New York, Rhode Island, Vermont and Washington, according to the compact website. The compact does not take effect until enough states sign on that control a total of 270 electoral votes -- the number needed to win the presidency. The current jurisdictions hold 181 electoral votes. WHYY reports Delaware may be close to joining, adding three more electoral votes for a total of 184. Here's where the math could get tough for supporters. The current member states tended to vote Democrat in recent history, but the electoral college has helped Republicans who lost the popular vote win the White House in two of the last five elections. George W. Bush in 2000 lost to Al Gore by 500,000 votes but won the electoral college 271-266. Hillary Clinton received 2.8 million more votes in 2016 than Donald Trump, but Trump won the electoral college 304-227. That means states that tend to vote Republican or have Republicans leading their state may be less inclined to join the pact. According to 270 To Win, only three other states -- Minnesota, New Mexico and Oregon -- have voted Democrat in every election since 2000. That's 22 electoral college votes, which would bring the total for the pact to 206 if they joined. That means supporters would need to find 64 more votes. Three more states to look at are Michigan, Pennsylvania and Wisconsin. Those three, with their combined 46 votes, went to Trump in 2016. They had gone to the Democrat in every prior election since 1992. But that still leaves the pact 18 votes short if those states join. Those states could be less likely to sign onto a pact that, at least in the short-term, may help Democrats. Supporters say the bill makes sure every vote nationwide will count and that it will force candidates to visit more states, not just key battleground states that swing the election. Critics say it ignores the will of the people in each state. "This bill sets aside OUR state’s presidential election result and instead throws our electoral votes to the choice made by stated with high concentrations of populations like California and New York," the Libertarian Party of Colorado said in a statement. According to its website, the compact has bipartisan support from former governors and members of Congress including former House Speaker Newt Gingrich, a Republican.